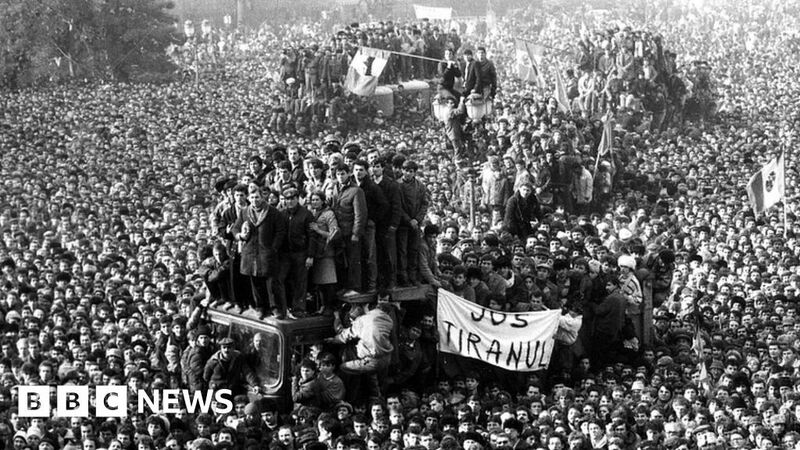 Romania's Former President Ion Iliescu has been charged with crimes against humanity for his role in the aftermath of the violent revolt that toppled the communist regime in 1989. Mr Iliescu and two others are accused of spreading disinformation in their TV appearances and statements, increasing the risk of "chaotic shooting". Mr Iliescu, 89, denies any wrongdoing. Prosecutors accuse Mr Iliescu and Mr Voiculescu or "directly spreading misinformation through televised appearances and press releases, contributing to the institution of a generalized psychosis". Their statements increased the risk of "instances of friendly fire, chaotic shooting and contradictory military orders", prosecutors said. Their actions are also blamed for the mock trial that resulted in the summary execution of the communist dictator Nicolae Ceausescu and his wife Elena on 25 December 1989. Mr Rus is accused of ordering an air force regiment to change his insignia, which led to friendly incentives for the deaths of 40 soldiers and eight civilians at Otopeni International Airport, Balkan Insight reports. Some 862 people were killed after 22 December when Mr Iliescu assumed power, prosecutors say. 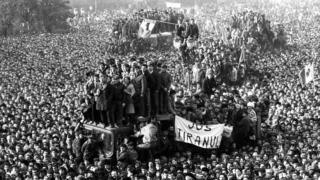 Mr. Iliescu had been a minister in the government of Nicolae Ceausescu, and went on to lead the National Salvation Front, which took control of the country after the uprising which began in the western city of Timisoara in December 1989. He became interim president that month, was elected president in 1990 and served another term from 2000 to 2004. Mr. Voiculescu also denies wrongdoing, calling the prosecution "an act of political revenge".